Specifically designed to dry the Biogas destined to power the co-generators, EnerDryer is extremely compact and suitable for outdoor installation. The strong galvanized steel beam structure supports the dryer and features an industrial chiller with an integrated hydraulic module and a thermally insulated drying system, in turn formed by a gas/water heat exchanger, an economizer exchanger and a condensate separation and drain system. All parts in contact with the biogas are in stainless steel, ensuring stable and secure operation through time. Plug & play configuration for easy and quick installation. 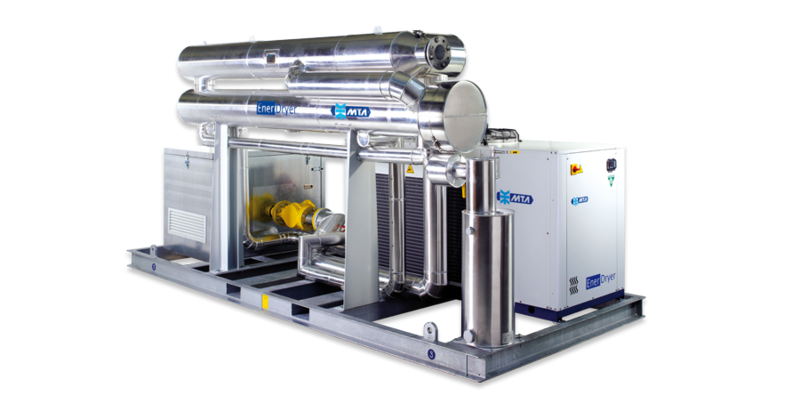 Higher efficiency of the combustion in the CHP cogenerator, with reduction of biogas consumption. Elimination of part of the impurities present in the biogas by “washing” effect. 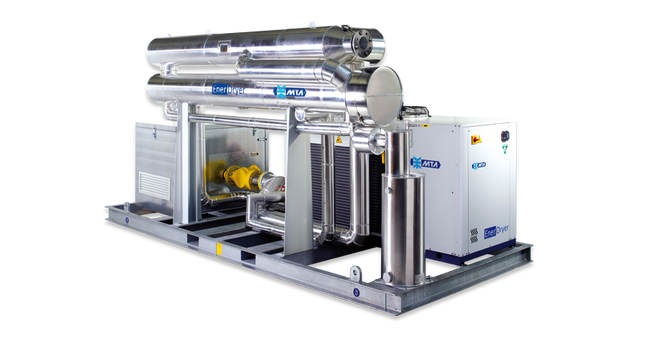 Heat insulated standard heat exchangers for maximum system efficiency.